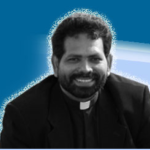 Bengaluru: Carmelite of Mary Immaculate Fr Mathew Chandrankunnel, a scientist, philosopher and theologian, has taken over as the Director of the Ecumenical Christian Centre (ECC). ECC chairperson Issac Mar Philexinos of the Mar Thoma Church conducted the installation ceremony on November 21 at the center based at Whitefield, a suburb of Bengaluru, capital of the southern Indian state of Karnataka. Fr Chandrankunnel, 58, is the first Catholic priest to head the center started by a visionary priest of the Mar Thoma Church in 1963. He currently teaches philosophy of science at Dharmaram Vidya Kshetram, a Catholic theologate, and Christ University, both managed by his congregation in Bengaluru. He has authored several books including “Philosophy of Quantum mechanics” and “Ascent to Truth: The Physics, philosophy and Religion of Galileo Galilei.” He will assume office on December 16. Among those present at the installation ceremony were Metropolitan Pathros Mar Osthatheos, Dharmaram College Rector Fr Dr Thomas Aykara, former Cabinet Minister and Chief Secretary of Karnataka, Dr J Alexander, executive council members of the ECC, the outgoing director Reverend Cherian Thomas and many ECC friends. The main focus of the ECC is to organize seminars, conferences, dialogues and training programs to help people of all religious and political views to develop an ecumenical and inclusive vision and consciousness to promote peace, justice and the integrity of creation. The ECC programs also create awareness in people about the contemporary society and help them participate in the creation of a society based on peace and justice. One of the yearly programs of the ECC is a memorial lecture on a relevant social topic by a scholar, in honor of M A Thomas, who died in 1993. Twenty-three lectures have been organized so far. 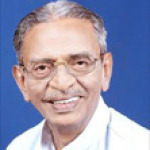 Fr Chandrankunnel joined the Carmelites of Mary Immaculate congregation’s Kottayam province in 1973. He was ordained a priest in the Syro-Malabar Catholic Church on May 5, 1987. In the early 1990s he worked in Telangana and lived with Maoists to understand their movement. He was awarded doctorate in science from the University of Leuven in Belgium in 1998. He did his post-doctoral research at the Harvard and worked on the project titled “Scientific Cosmological Theories and Its Acceptance by the Church” in 2007. Fr Chandrankunnel conducts one-month annual program on “Religions in Contemporary India” for students from European and American Universities to expose them to world religions. During the course, the students visit Hindu ashrams, Buddhist viharas, Sikh gurudwaras, Jain pilgrimage centers and temples, Muslim Madarasas, Eastern Christian ashrams and Indian Art forms. They also interact with scholars and followers of various religions. The priest also founded the Bangalore Forum for Science and Religion. He also organizes lectures, seminars, workshops, at local, national and international levels for the past 18 years. Come Pastorpreneurs to reap the Lord’s harvest!